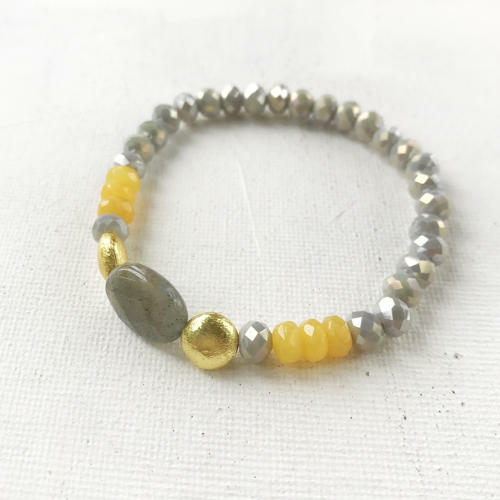 A lovely stretch bracelet with crystals, yellow jade, labradorite and gold plated nuggets. Made with jewellers elastic so one size fits most. Designed and hand made in England.